This was one of the few hikes I've done solo, which I highly recommend not doing unless you are very familiar with your surroundings. 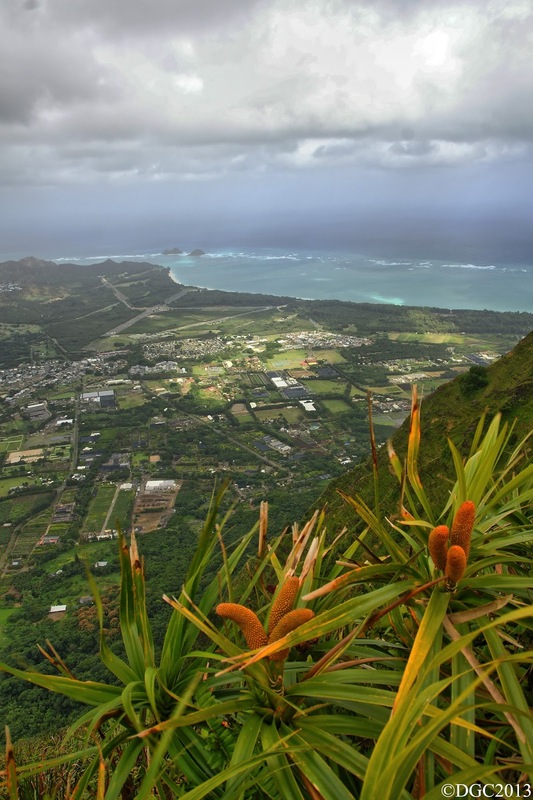 I wanted to check out Puʻu O Kona, which is located to the west of the Kuliʻouʻou terminus. The leeward ridge that connects to Puʻu O Kona makes up the west wall of Kuliʻouʻou Valley. This ridge is also commonly called West Kuliʻouʻou and begins at the very same road as the state trail. Because of this, it's possible to combine the state and the west ridge to make a loop, which would be the case on this trek. I started up the state trail a little before 10am and was on the top about an hour later. 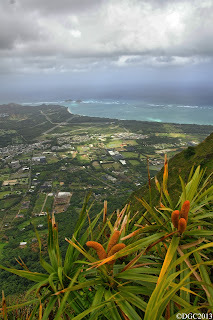 The vog was in full force so visibility was reduced greatly and gave the vistas a mucky look. Winds were virtually zero, which made for hot and muggy conditions. 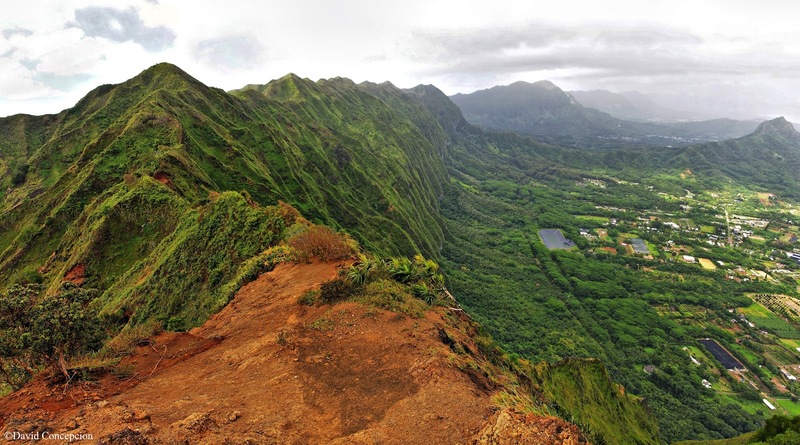 After gazing at the views for a little bit, I turned westward (left) and proceeded along the Koʻolau summit ridge towards Puʻu O Kona. 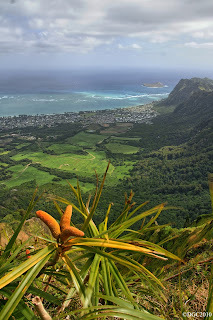 This was one of my first hikes which would expose me to the big windward cliffs. I was loving every moment of it. Initially, the summit ridge drops downward to a low lying saddle before climbing up a small hill. Further on, the trail crosses a severely eroded mountain side. The path is barely holding on it's own and this hike took place almost 4 years ago since writing this entry in 2013. I haven't been to this segment ever since so it's condition today is unknown to me. Either way, be cautious in crossing this section. Eventually one comes upon a view that makes for money shots if you're into the whole photography thing. 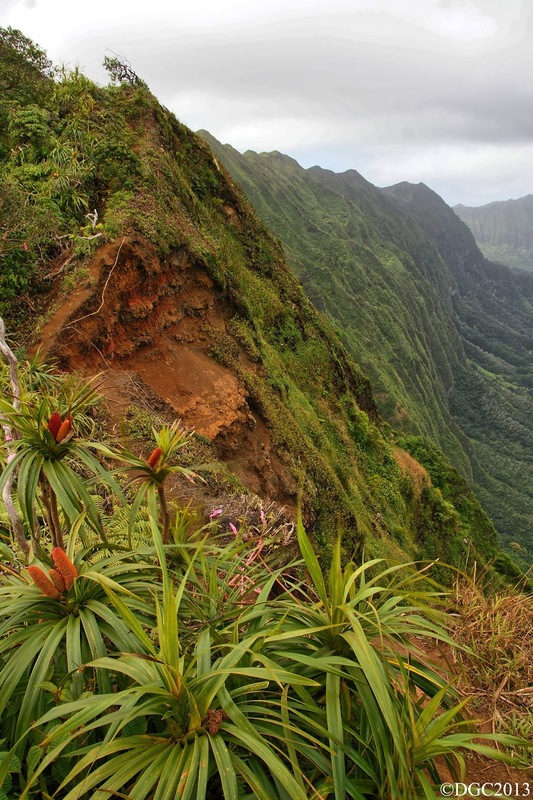 The Koʻolaus are angled in such a way where one can see the fluted cliffs all the way to Konahuanui. It's truly a remarkable sight to see. 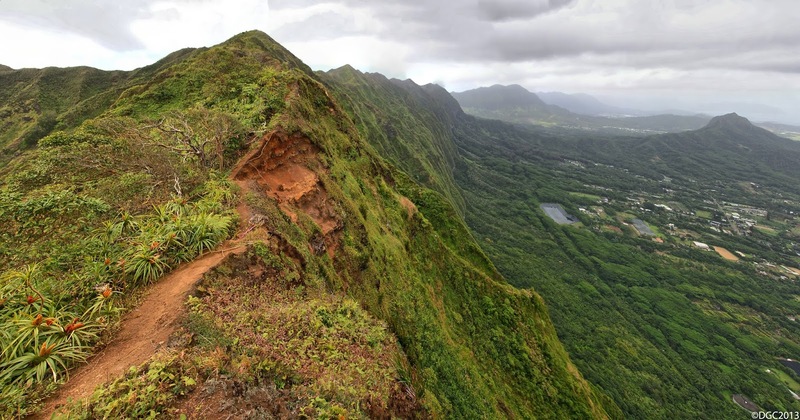 The trail drops slightly downward to another large eroded spot that marks the terminus of Bear Claw Ridge, which comes up from Waimanalo. It is said that a plaque dedicated to my good friend Leslie Charles Merrell has been placed here in 2012 after he perished while only a few hundred feet from the top of this very spot. If you decide to climb up Bear Claw Ridge, make sure to test all holds before putting all your weight on them. 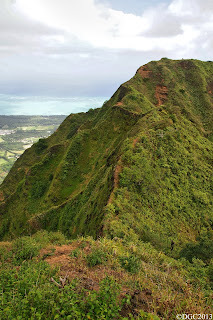 Beyond is the large green hill of Pu'u O Kona. The trail heading leeward should be easily discernible. There are two rope sections on the steepest portion of Kuliʻouʻou west ridge. Make sure to test all ropes before using them. Further downward, the ridge becomes more level for a few miles before the trail makes a sharp left and heads down steeply to a water tank. From the water tank, follow the paved road out and back to where the state trail begins. 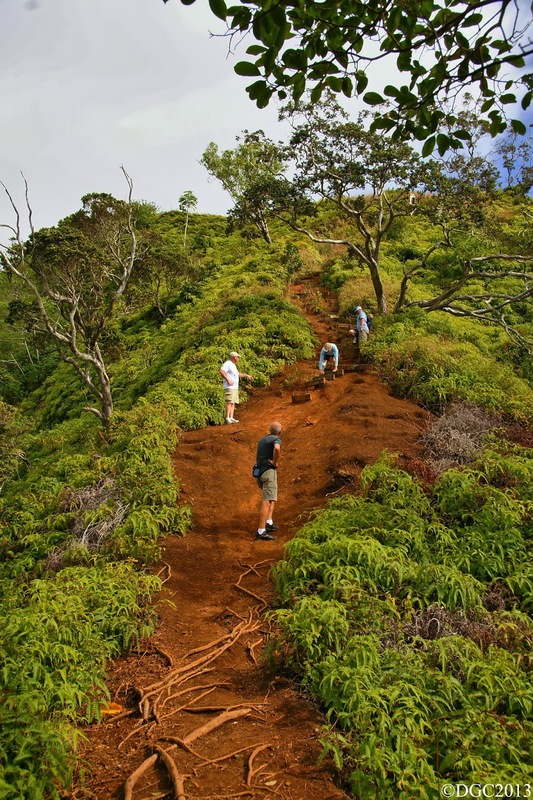 This is a nice and rather short hike that circumnavigates Kuliʻouʻou Valley. If you have done the state trail many times and want a nice extension beyond, give this hike a try.